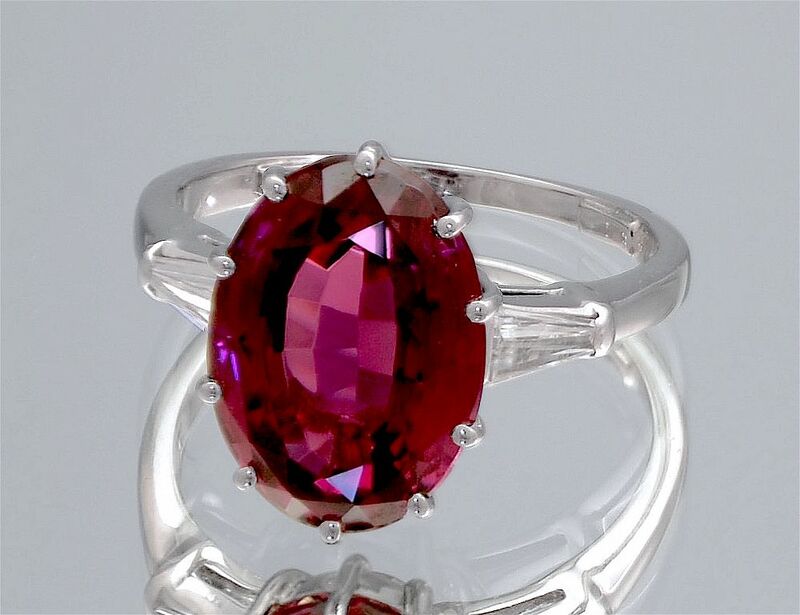 This fabulous ring is made in platinum and has a fine oval purplish red rhodolite garnet set in the centre of the ring in a 10 claw collet. There is a taper cut baguette set into each shoulder of the ring. The rhodolite garnet was cut by Alan from rough material that he bought in Tanzania in the 1980s.